1. Travel to any area which allows flying. 2. Summon the Ginga mount. 3. Take off into the air. 4. Do not move in any direction. 5. Observe the base of the right wing from behind. 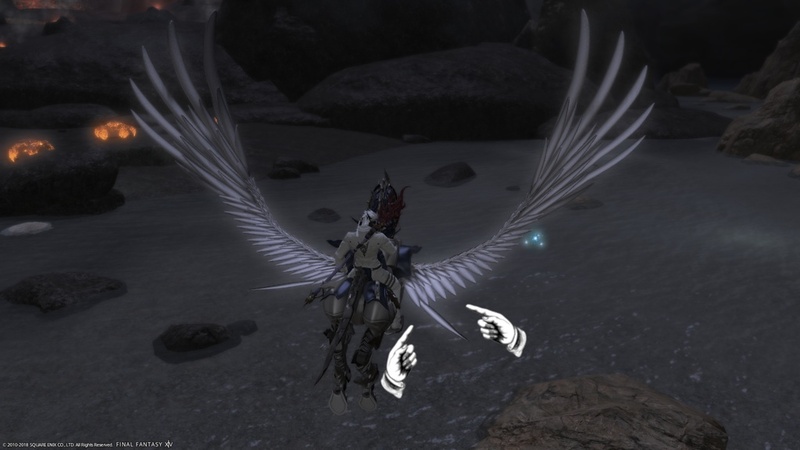 The right wing of the Ginga mount is not animated properly. The metal feathers nearest the base do not move as much as the feathers on the left wing. The same animation problem was observed on the Goten mount as well. Last edited by Zorixas; 06-09-2018 at 07:12 PM.